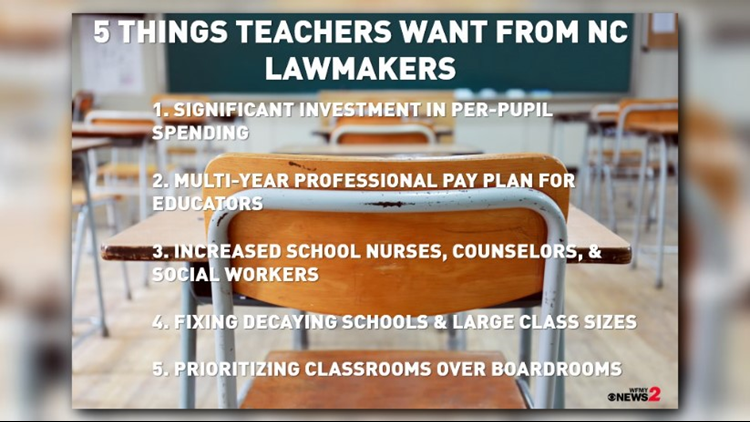 GREENSBORO - Teachers are asking for five things from state lawmakers they believe is long overdue for our school system. On Monday, teachers with the North Carolina Association of Educators held a rally in Greensboro to talk about the decision to march in Raleigh on May 16. The rally was held just after Guilford County Schools announced its decision to close on May 16 due to the march in Raleigh. The North Carolina Association of Educators is organizing the rally at the Generally Assembly. 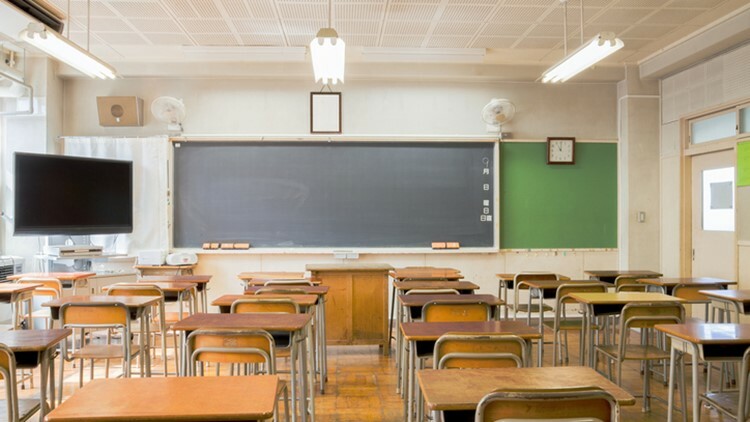 “North Carolina is one of the worst in the country in the amount our elected leaders spend per student, but the politicians in Raleigh would rather give tax cuts to millionaires and big corporations,” said NCAE President Mark Jewell. Significant investment in per-pupil spending. A multi-year professional pay plan for educators, education support professionals, administrators, and all other school personnel, including the restoration of compensation for advanced degrees and longevity and stopping the flat-lining of experienced educators’ pay. Increased school nurses, counselors, social workers, and other support personnel, and expansion of Medicaid to improve the health of our communities. Fixing decaying schools and large class sizes with a Statewide School Construction Bond.